Three years ago, for almost an entire year, a certain progressive rock album was for me personally, the best thing I had heard in 2014. However another great album, strangely enough released towards the end of the same year, became my favourite in the end. The same band has released in 2017 another new album. They named it Sand and is the successor of Skye, the debut of the Canadian act Monarch Trail. While receiving this release in my mailbox the question of course came up if the same thing will happen with this album as with its predecessor. After all anything can happen before one year comes to an end. Moreover is this new album of the same high level as the band presented on their debut? The line up of the band has remained the same for the recordings of this second album. Meaning we a still have Ken Baird on keyboards and lead vocals. He is again accompanied by the same rhythm section, consisting of bassist Dino Verginella and drummer Chris Lamont. And again no real guitarist is in the line up if you don't count the guitar parts done by Baird on the title track. But don't panic lovers of amazing guitar parts. Just like on the band's former release they invited three other guest musicians to participate in the recordings of the new album. I guess it didn't come as a surprise the same persons can be heard again. Namely John Mamone, Kelly Kereliuk and Steve Cochrane. I guess things can't go wrong with the same line up in the studio. After all they say never change a winning team. But are they a winning team again? Well after hearing the opening piece Station Theme all doubts are gone. This up tempo instrumental compositions shows a strong rhythm section on which Ken can show all of his talents on his keyboards. Rick Wakeman and Tony Banks eat your heart out. Also the second track is awesome. First Thoughts is a fine orchestral ballad on which you can hear for the first time the very relaxed voice of Ken. Singing in a style which you can hear often on albums released by Glass Hammer or Barclay James Harvest. Music wise the song sounds like a quiet track written by IQ. More up tempo is what comes next. Back To The Start is also more in the musical direction of IQ. Here you can also enjoy the fine guitar parts done by John Mamone. After this excellent up tempo track the mood once again becomes mellower during the opening of Missing. The Mellotron parts move the song towards the early years of Barclay James Harvest. On the other hand the great playing on the synthesizers during the more faster parts, made me think about Glass Hammer's Fred Schendel. But then again Tony Banks is also never far away! Before the epic ends the album, two great instrumentals can be enjoyed. The first one, Charlie's Kitchen, has some fine jazz motifs which go very well hand in hand with the neo progressive synthesizer parts. The second one, Another Silent World, is very spacey and spherical. The title track, with a total length of 24 minutes, ends the album with a big bang. Leaving the listener speechless! What the band presents here is probably the best of what the band has offered until now! The many mood changes and instrumental breaks are a feast for your ears. After you have heard the complete track you want to put it on again and again. Just like the complete album I guess! It's difficult to compare it with the music of other bands, but if I mention names such as IQ, Barclay James Harvest, Glass Hammer, Genesis and Emerson, Lake & Palmer you get the picture! Listening to Sand I can only say one word; Wow! This is just how progressive rock should be made! For the review of its predecessor I wrote; “In my mind's eye Skye is a masterpiece containing only great compositions performed by outstanding musicians. For that reason only the highest rating of five stars will do! For me Skye belongs to the finest albums of 2014! If you're a fan of great prog rock you can't afford to skip this one!”. For this review I can use the same words again. Only with the differences that the album title and year can be replaced. 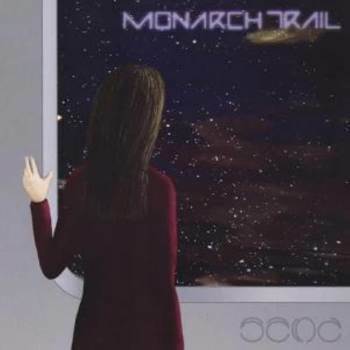 Monarch Trail did it again and released with Sand a real masterpiece and is heading for the title of best prog album of 2017! The five stars are again in the pocket. Thanks again for releasing such amazing music!